I think you have created a very valuable resource". helps all children to successfully self-manage team enquiry and learning tasks in mixed ability groups. The progressive structure aids the development of personal learning skills and collaborative problem-solving. identify and develop their personal talents and potential. The 15 one hour per week inclusive TEAM lessons and digital resources teach communication, collaboration and essential group skills to support independent reading, enquiry and learning across the curriculum. The impact of Team-building has been obvious. The language development of the children has improved. Their responses in class discussions are more detailed and they refer specifically to questions or the statements made by peers. Their ability to work as a team has also improved. Rebecca SjoblomYear 6 teacher Thomas Walling Primary, Newcastle. The Team-building process gives pupils plenty of opportunity to explain their thinking and develop their competence in this….this helps them to develop discussion skills that will remain with them for life. This is an impressive programme, I think you have created a very valuable resource. Why is team-building recommended as the first step to achieve literacy across the curriculum? 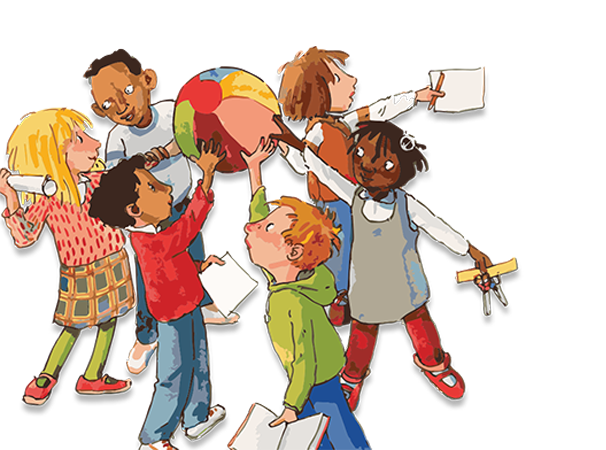 Team-building is recommended as the first step to achieve literacy across the curriculum because its generic skills and personal development programme that enables groups of children to complete a range of tasks together effectively and independently in collaborative mixed-ability teams. There are 15 sessions in the Team-building programme. What advice can you give about planning? There is no specific number of Team-building sessions recommended per week. Some teachers prefer to plan one session per week to allow the children time to practice the skills in other learning situations before moving on to the next session. Others like to block Team-building over two weeks to prepare the teams for reciprocal reading and other group learning tasks as quickly as possible. How long is each session meant to be? Sessions vary in length according to class and team discussion during activities and debate. It is always best to think ahead and plan for a longer session or split the session into two parts if you think your class needs longer to explore an activity or topic for discussion. Are the materials for the Key Stage 2 Team-building programme suitable for all ages and abilities in Junior school? Yes, the skills-based activities have been chosen carefully to appeal to a broad range of interests, abilities and ages. Can I share the ‘Team-Building’ programme and resources with other schools or interested parties outside my school? No, you will be in breach of copyright if the ‘Team-building’ programme and resources you have purchased are copied in any way or shared with other schools and interested parties without permission from Think2Read.